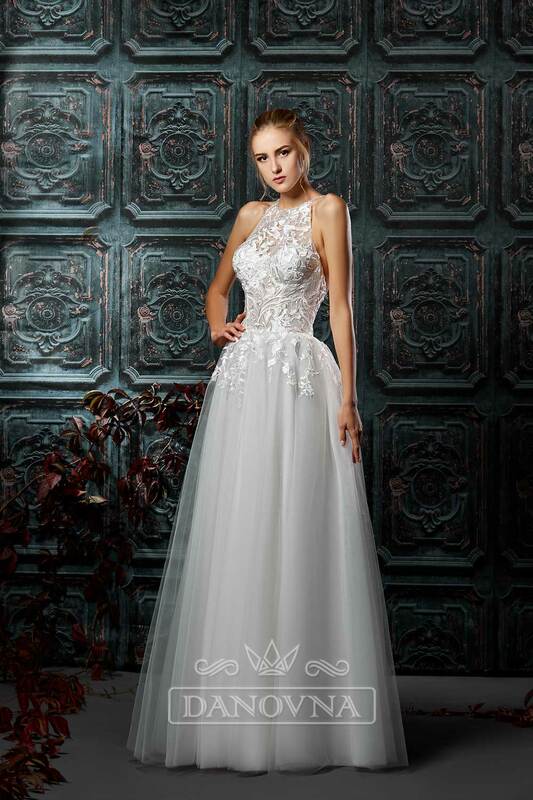 A gently dress has an incredibly beautiful back with embroidered britches. 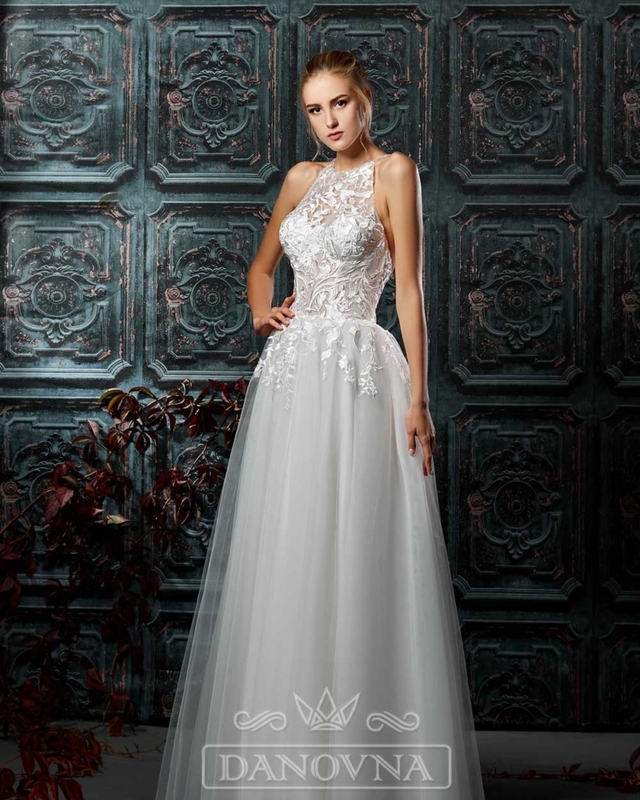 A semi-transparent corset with lace decorated by sequins, pearls and beads, which merges the top of the dress and the A-line skirt from a delicate mesh. 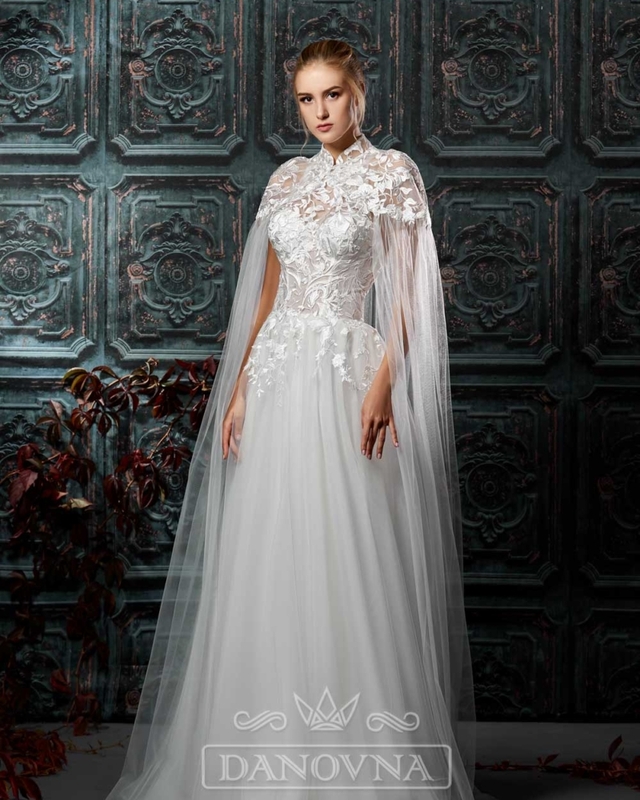 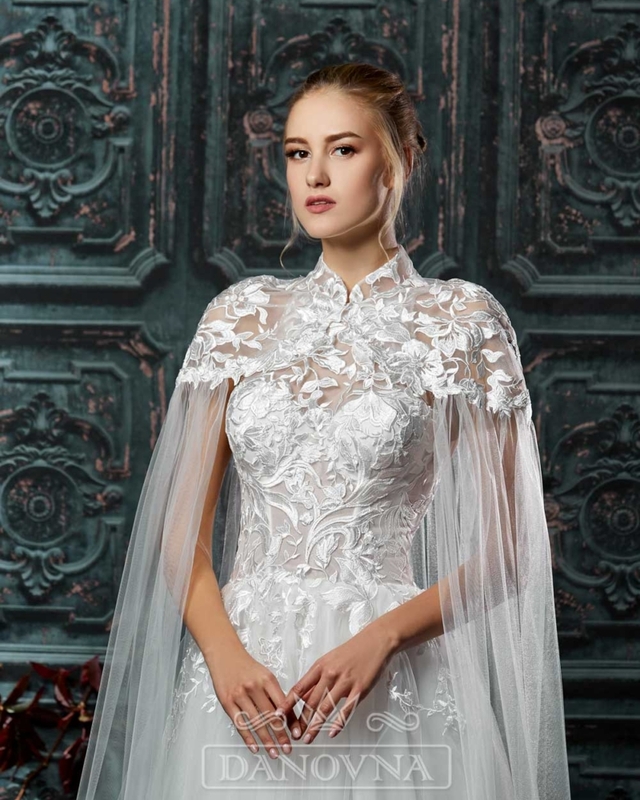 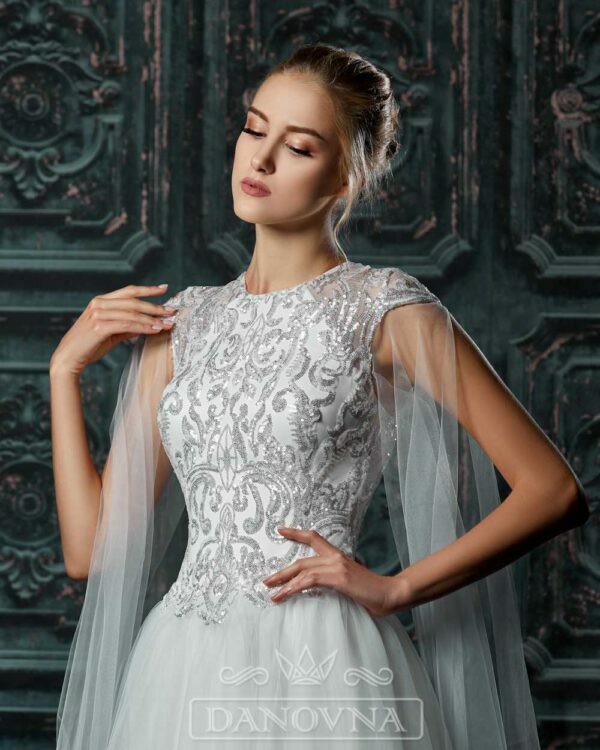 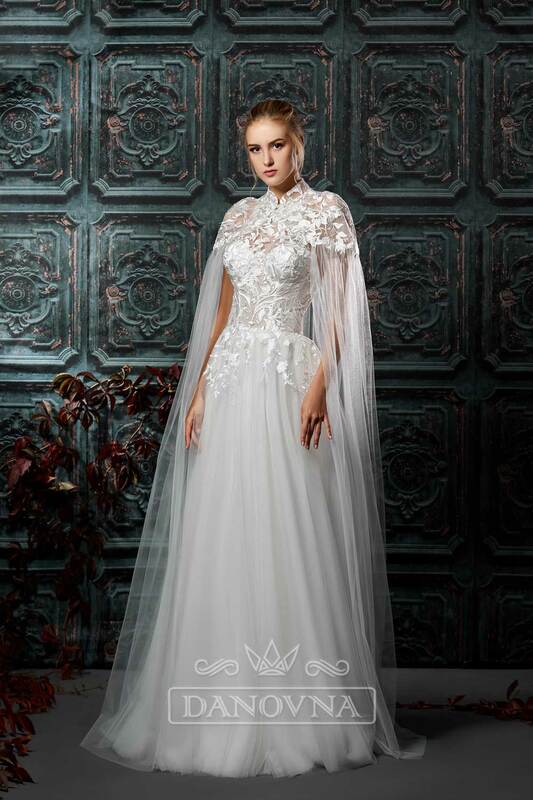 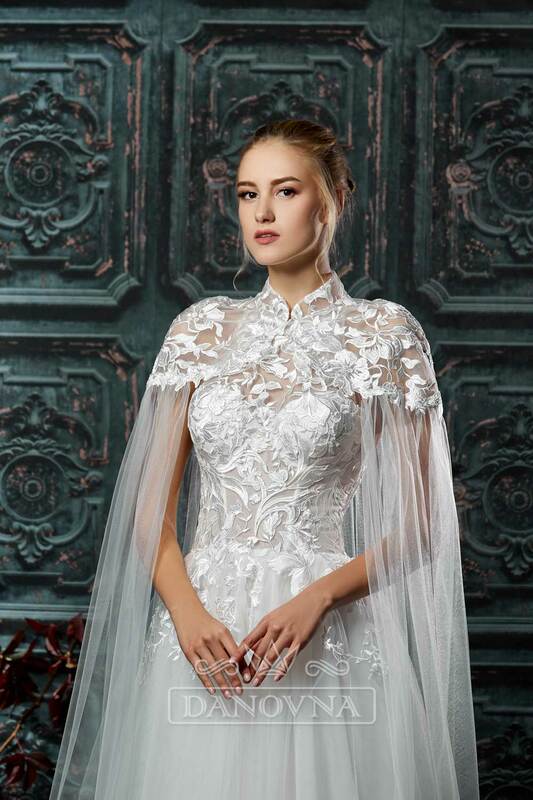 Supplement to the dress is a removable cape with embroidered lace top and collar, covering the shoulders and back.